My reasons are simply economic — in large part because of the social-engineering by Sacramento politicians. I bought the car used, after it had depreciated to some extent. California collects high fees for vehicle registration taxes — and charges a high sales tax to boot. I drive a Prius for the same reason that I often order tap water with meals: it saves money. We have “reformulated gasoline,” so it’s more expensive than other parts of the country. And, our fuel is taxed and taxed and taxed. In January of 2019, California gas prices even outstripped Hawaii for the highest in the nation. [i] California also has stratespheric income taxes – its maximum rate of 13.3% places it at the head of the pack. And, the Prius has been a reliable car. So, I’m not virtue-signaling. I’m just trying to save a buck. Back to the work being done on my car; when the workman finished the job, he confessed to going through my glovebox to retrieve my name. There, he came across my California Congress of Republicans’ (“CCR”) business card. And, he ranted for the next 45 minutes. How could I support a racist, thief, and misogynist? How could I support a Party which was against decent health care? Or, a minimum wage? How could I support someone who cheats on his wife? How could I support such a person if I had daughters? When I tried to respond that I appreciated civility and moral character in elected leaders, he continued with his jack-jawed diatribe. He compared the comportment of the former President to the current. He could have cared less about my talking about how CCR was making an effort to be more inclusive. To him, policy didn’t matter; character did; they couldn’t be unbound into separate strands. He had no interest in discussing free enterprise versus socialism – despite owning his own business. He wasn’t interested in comparing the failed economic policies of Venezuela to our own, or why so many Californians and businesses are leaving the state. How CEQA and zoning laws affect affordability of housing and lives more than platitudes about minimum wage. The real dangers of following in Venezuela’s path. He told me that he was part Native American; when I shared with him that I had Native American blood from my grandmother’s side, he was disinterested; I was told that I look white. Of course, I’d been forewarned. A good friend, who is a Republican, has chided that my percentage of Native American blood is too de minimis to mention to anyone. I’d been asked by a fellow Republican to self-censure on the topic, for fear that it would result in controversy. That was in print; but, here, it occurred in person. So, this business of character matters. Great policies can be advocated and implemented by flawed individuals. Our founding fathers had feet of clay, but freed us from the tyranny of a monarchy. But, if we are going to win hearts and minds in California, do we need great policies brought forth from only those of unquestionable character? Are we to elect only saints and no sinners? A friend of mine suggested something more reasonable and achievable. “Peter,” she advised, “we need to teach school children what socialism is.” It dawned on me. This business of character must begin within each of us, not externally by electing unassailable saints. This business of character begins with encouraging each individual’s enlightenment. Our sacred duty is to effectively explain what it means to be free and to be an American. We must carry the torch of this epiphany. For those familiar with the saying, “Welcome! 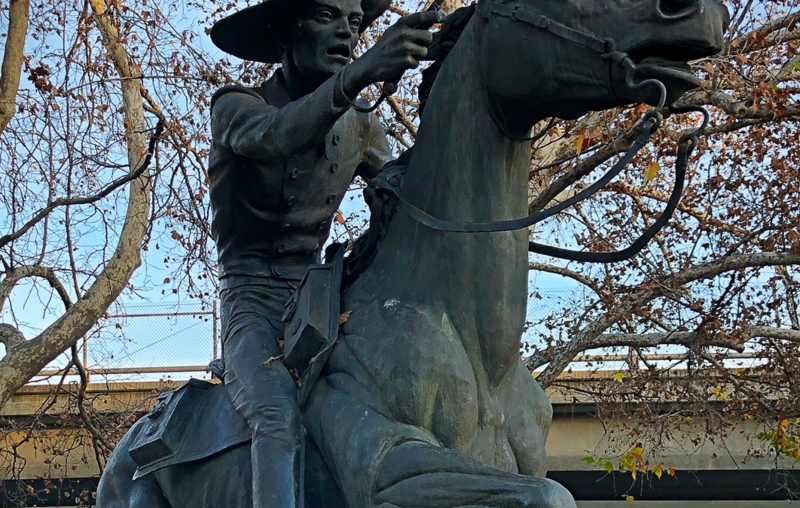 Enter as guests; leave as friends,” our 2019 CCR Special Convention on Friday February 22 in Sacramento was a rousing success. The biggest complaint – attesting to the enormous interest in our gathering? Not enough chairs! Hyatt Regency Hotel staff received requests from the CCR team to provide more seats for our CCR officers, delegates, chapter members, CAGOP candidates and guests. Thankfully, the extra chairs were speedily delivered and all was well. Membership Secretary Pam Corradi, SPARC Board Member Dee Buhler and CCR First Lady Tiffany Verbica ensured that attendees were registered, fed, welcomed and seated. 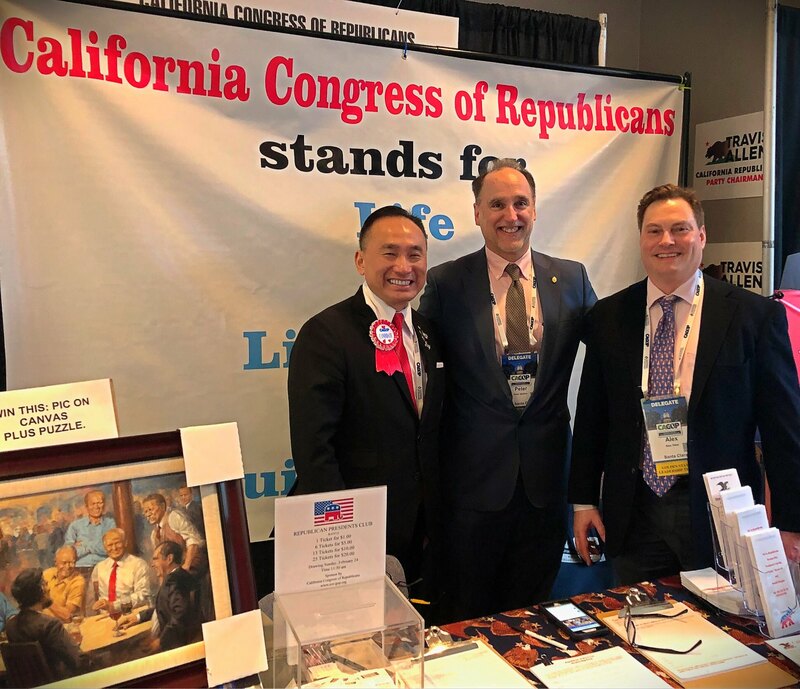 Newly elected CAGOP Vice Chair and former SPARC VP Peter Kuo, CCR President Peter Verbica, SPARC Officer Alex Glew. 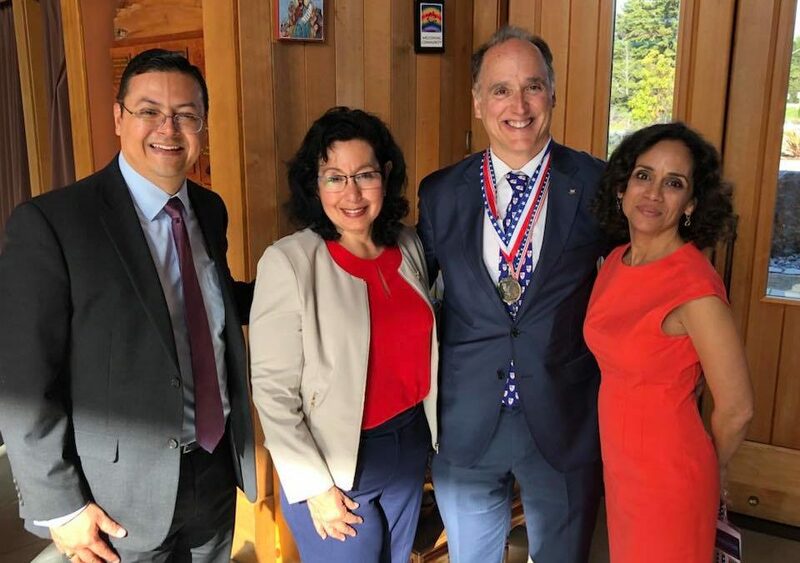 Business of the day included the unanimous ratification of two new chapters (East Valley Congress of Republicans (led by Victor San Vincente, Larry and Christina Ciardella) and Central Coast Congress of Republicans (led by John Yost, Lea Reed and Kristen Collishaw), the election of 2019/2020 CCR executive officers, President Peter Coe Verbica, Vice President Mark Hershey, Membership Secretary Pam Corradi, Recording Secretary Sharon Durbin, Treasurer RJ Kelly, Regional Vice Presidents Margaret Dominici, Carl Burton, Larry Ciardella, Steve Brown, Dean Haddock, Rob Bernosky, Katie Varner, Anna Bryson (founding member and President of the Orange County Congress of Republicans), Robin Lowe, and Don Genhart, and the endorsement of the following CAGOP officer candidates: Chair, Jessica Patterson, Vice Chair Corrin Rankin (defeated at the CAGOP Convention on 2/24 by former SPARC Officer Peter Kuo), Secretary Randy Berholtz, Treasurer Kathy Tavoularis (defeated at the CAGOP Convention on 2/24 by Greg Gandrud), Regional Vice Chairs Matt Heath, Deborah E.G. Wilder, Jason Clark, Dr. Dean Haddock (defeated in CAGOP election by Lisa Moreno), Lindsey Stetson. and Chair of County Chairs, Mike Osborn. In addition, CCR unanimously endorsed three resolutions presented by CCR River City (Sacramento) Chapter President Carl Burton: the Vietnamese American Resolution, the Chinese Railroad Workers Resolution, and Assembly Bill No. 387, calling for better labeling of medications. A special shout-out of thanks to SPARC Member Robert Varich who served as Sergeant-at-Arms and time keeper and 2019 CCR Special Convention sponsors Gold: Swenson, Dan and Patricia Bozzuto, and Silver: Peter Kuo, Tracey Enfantino, Carlos and Cecilia Montalvo, and Rick Leisinger. Certificates and special acknowledgements were bestowed upon former CCR Presidents in attendance, including James Bratt, Carl Burton, Pam Corradi, Robin Lowe (in absentia) and Darrell Connerton. CCR tips its hat to other former Presidents, including Mark Vafiades, Bonnie Shea, Stuart Posselt, Dennis Catron, Robin Lowe and Patty Kelly. Special thanks to Carl Burton and Bob Evans, for setting up and manning the popular CCR Table. Scores stopped by to say “hello,” and peruse the literature and purchase raffle tickets for some cool prizes, including a framed print of the Republican Presidents by Andy Thomas. Carl Burton also displayed a beautiful plaque acknowledging the contributions of out-going CAGOP Chair, Senator Jim Brulte (ret.). Orange County Congress of Republicans VP of Programming Bill Evers made an announcement to be sure to go to his Chapter’s social media page. Many other chapters, including the South Peninsula Area Republican Coalition (SPARC) (led by President Timur Engin, VPs Jayne Ham, Leslie Mayr, Dee Buhlerand Treasurer Rodney Neils Mayr), the Hemet-San Jacinto California Congress of Republicans (led by President Sharon Durbin and VPs Bonnie Wright, Robin Lowe, Secty. Susan Watson, and Treasurer Charlene Stover) and CCR itself, have a significant social media presence as well. (And, for access to chapter’s newsletters, including the Republican Club at the Villages (led by President Carla Evans, VPs Burt Lancaster, Mary Wagle, Secretaries Sue Herfurth, Gary Hill, and Treasurer Ruth Branch) and the Republican Club of Ocean Hills (led by President Barbara Fleeman Hazlett, VPs Lavonna Young,Michael Richardson, Secretaries Sally Booth, Treasurer Judith Fulop and others) please feel welcome to go to CCR’s Chapters’ Blog. Special thanks to Betsy Mahan and David Nos for ensuring that CCR social media and email communications are well-organized. There’s a popular show called “the Voice.” Perhaps you’ve seen it. Four judges sit in big swivel chairs with their backs to the singer. Part of the fun is seeing their faces when they discover the shape, size and personality of the vocalist. Often, the combination is unexpected. At the 2019 California Republican Party Convention Prayer Breakfast, I experienced a similar surprise. 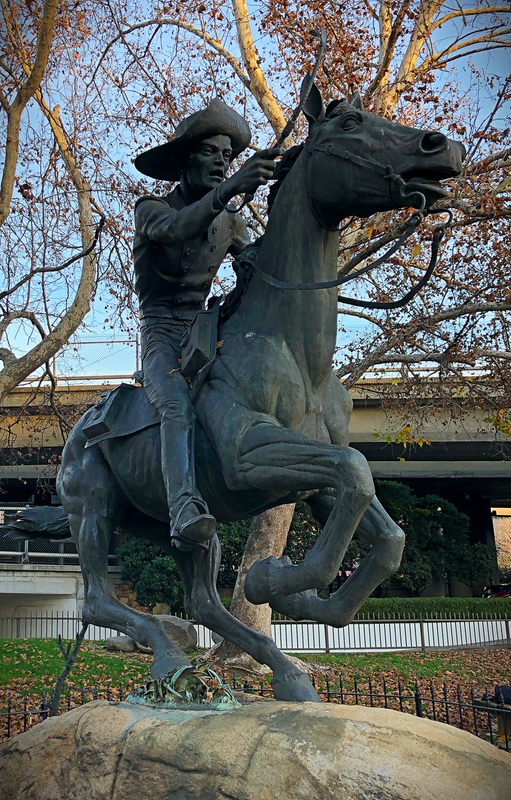 A Superhero arrived in Sacramento on February 24, 2019. She was disguised in the form of a 5’5” high grandmother by the name of Jo Anne Madsen. Now, Superheroes are known to have various powers. Some can leap tall buildings with a single bound; others can bend steel bars, talk to fish, swing through cityscapes from spiderwebs or outpace a speeding bullet. Impressive skills, but for the survivors of the Paradise “Camp Fire,” who witnessed a roaring fire ravage their historic, Gold Rush town and were numb with shock, a rescuer would have to bring something even more powerful. Under such formidable circumstances, Jo Anne did just that. As President of the Chico Relief Society, she and her organized teammates marshalled the most powerful super power of all. They brought hope. All of us are familiar with a Superhero born on strange planet, and another raised by his English butler in an immense mansion. Jo Anne’s background is less esoteric and exotic. She grew up in Bountiful, UT. Her dad worked as a salesman in a sporting goods store. Her mom was a seamstress. The family moved to Salt Lake City when Jo Anne was a Senior in high school. She attended Brigham Young University where she studied food science and nutrition and met her future husband, Dale. Later, she obtained a Master’s in Public Health from Walden University. When I interviewed this Superhero, she mentioned not a single martial arts, marksmanship, or bomb-diffusing class. Evident to me, however, was that she has mastered the art of service above self. And, taking it further, for Jo Anne and her compatriots, being of service to others is being of service to God. Though her Church life is of vital importance, Jo Anne and her colleagues at the Relief Society are eminently practical. When determining how to be of help to the fire victims, of first order was to get a list of what people needed to do, including: 1. Post their names; 2. Get a Post Office box, so that they could receive mail; 3. Change their address; 4. Contact their insurance company; 5. Save their receipts; 6. Proactively look for housing, using a variety of tools, including social media; 7. Post any specific needs, such as clothing or bedding. Other order of business included coordinated temporary housing, professional counselors, three meals a day, long-term assistance (such as utilizing the Bishop’s Storehouse with respect to milk and canned goods), coordinating with six local buses to help get children and teachers out of the fire area. The Relief Society coordinated with CalFire and the police department who came to speak to the fire victims. Adults were split into two groups: those whose homes were affected and those who homes weren’t. Children were asked to draw something which scared them; something which made them sad; something that made them happy. Many of the hand-drawn pictures included cars and houses on fire; comments on adults which were sad; moms crying. Those whose homes didn’t burn wrestled with the guilt of why fate had spared them. The Relief Society helped coordinate trailers full of supplies coming in; a local catering company provided a Thanksgiving dinner. Phone calls, texts, emails and letters flooded in with people wanting to help. So, much of what Jo Anne and her team have addressed has been tactical; how to deal with limited room to store things; providing a camp fire giving tree where people could explain what they needed; hundreds found their needs met by others via social media; CHP helped collect toys; while 2,000-3,000 were expected, 14,000 toys were given out, such was the outpouring of care. A quilting area was established and 500 hand-made quilts were handed out; a Santa’s toy shop was established, as well as a gift-wrapping area; books, clothing and toiletry items were organized. To help with morale, fifteen hairstylists from Chico, and some who came up from Los Angeles, provided over 75 haircuts. “Home Starter Kits” were created for the new households; items such as dishes, mixing bowls, and utensils were itemized on an on-line retailer’s registry. Recipients of the goodwill have experienced tears of gratitude and expressed their appreciation, but there is still work to be done; there have been food drives and suit/clothing drives; hundreds of beds, dressers, chairs, tables and couches have been provided. Most importantly, there is still a need for permanent households for those who were displaced. With respect to temporary housing, such as trailers, there is the question of where to place them. For many of the survivors of the fire, one-on-one counseling and ministry provides important solace. Paradise was a community of many elderly people; one off-duty bus driver helped transport senior citizens who were stranded. Children pitched in as well, with bake sales and fund drives, such as “Pennies for Paradise.” Jo Anne Madsen has had thousands of deliveries made to her home as the point person for the relief effort, becoming friends with the various delivery and postal employees. As Jo Anne explains, she and her teammates employ charity in action, and share an unwavering belief that “charity never faileth.” Jo Anne would be the first to acknowledge that many organizations such as the Red Cross, local fire, medical, police, churches and other non-profits, have been instrumental in making a difference for the families of Paradise. There are other Superheroes making important contributions, but I am particularly inspired by the one disguised as a 5’5” high grandmother. 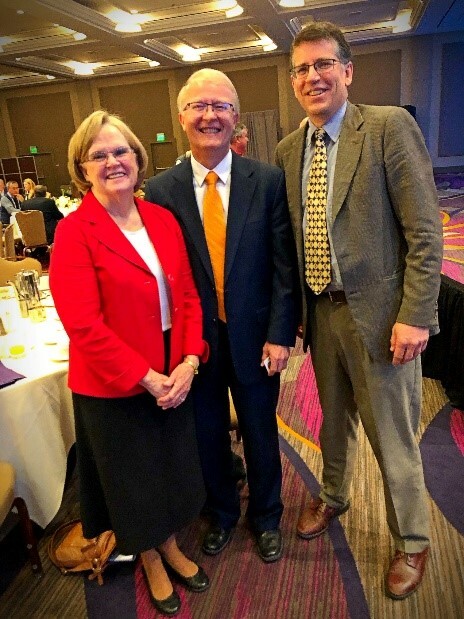 When Roger Kaspar, Ph.D, Scientist and Entrepreneur (pictured with Ms. Madsen and her husband, Dale Madsen, DDS) learned about Ms. Madsen’s speaking engagement about relief efforts for the victims of the Paradise fire, he left his Santa Cruz home at 5:30 am to attend the 8 am 2019 CAGOP Prayer Breakfast. For those wanting to know more about how they can help those still in need, sleep in and utilize your computer or smart phone instead. Write Ms. Madsen at jsmaden@aol.com. She and her amazing friends at the Relief Society continue to organize “Home Starter Kits.” These are comprised of items which people need to start up their home, so they don’t have to worry about purchasing items. Once you have obtained a list from the Relief Society of which items are needed, she and her team will give you instructions on where to have them sent. Gandhi took a stand against imperialism; Martin Luther took a stand against discrimination; Reagan took a stand against Communism; Washington, Madison, Adams, Jefferson, Franklin all took a stand against an oppressive monarchy. Christ took a stand against orthodoxy. On June 5, 1989, an anonymous student stared down a tank in Tiananmen Square. Lincoln took a stand against slavery. Anthony, Stone and Stanton took a stand on the right of a woman to vote. As I say, chances are you admire those who take a stand for what they believe in. As a member of the California Congress of Republicans (“CCR”) — through one of our statewide chapters — you are taking a stand. 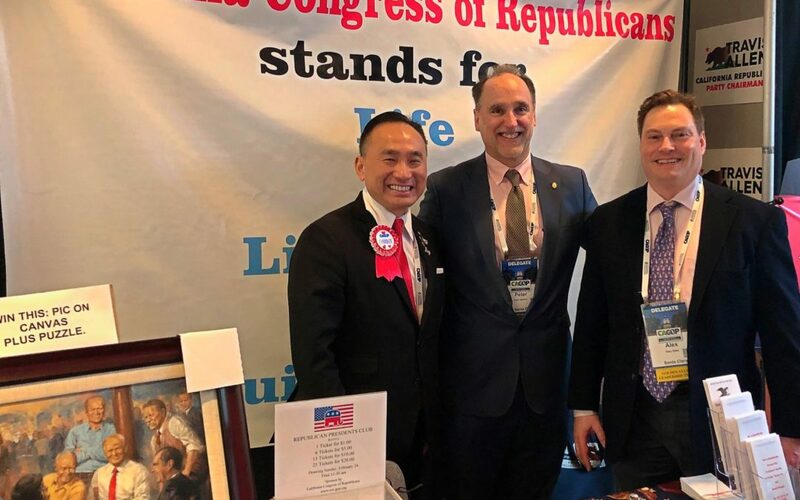 CCR holds particular prominence in the landscape of California Republican politics: we are one of those rare organizations officially chartered by the California Republican Party (“CRP”). Therefore, we are a powerful voice. Whether you’re a member of the South Peninsula Area Republican Coalition, Republicans of River City (Sacramento County), Republican Club at the Villages, East Valley Congress of Republicans, Santa Clarita Valley Congress of Republicans, Orange County Congress of Republicans, Republican Club of Ocean Hills, Hemet-San Jacinto Congress of Republicans, or others, you’re taking a stand. At CCR, we may think differently than the CRP. We’re independent and operate outside its structure. 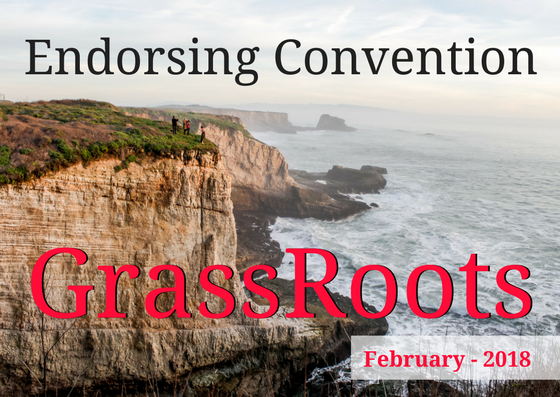 At our 2018 Endorsing Convention, we backed a number of statewide candidates who didn’t receive the endorsement of the CRP. In the primaries, we endorsed a different candidate for Governor, a different candidate for Lieutenant Governor, a different candidate for Treasurer, a different candidate for Attorney General, as examples. In the primaries, we endorsed candidates whom our delegates felt were more representative of our state’s changing demographics. We backed a populist candidate rather than one who was better bankrolled. We’re a different voice. We’re willing to take a stand. As CCR members, your delegates and officers speak for you. And, as a member of one our statewide chapters, you are a part of that stand. For that, on behalf of our Board, and our organization, we want to say, “thank you.” You can bet that we’ll be at the 2019 California Republican Convention in Sacramento, so be sure to look for us. With your help in continuing to keep CCR vibrant and viable, you’re ensuring that our glory will not fade. Next time you look in the mirror, don’t be bashful. Congratulate yourself! Like those in history whom you admire, you’re taking a stand. The California Congress of Republicans will hold their Endorsing Convention in Aptos on April 7th. Candidates running for the U.S. Senate, Statewide offices, Board of Equalization, and the State Legislature will be considered for endorsement. 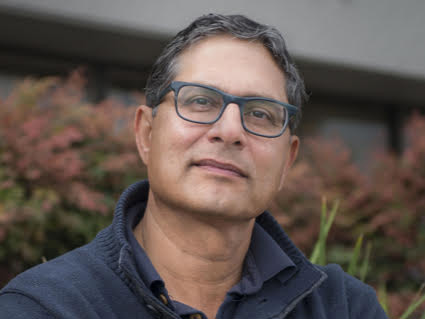 “Entrepreneur, tech innovator, visionary, author of an upcoming book on compassionate capitalism, mentor and change-maker, Safwan Shah is the Founder and CEO of PayActiv, a Silicon Valley company that helps businesses offer socially responsible financial wellness to their employees. Safwan’s mission through PayActiv is to empower financially stressed, lower income workers with the knowledge and tools to achieve financial resilience. Today, PayActiv’s invention of timely access to earned wages, without incurring any debt, is deployed nationwide by numerous American businesses, including Walmart. Barron’s magazine described this invention as a way to increase the velocity of money in an economy. The newest invention of PayActiv is the Financial Stability Account or FSA, offered in partnership with banks. The FSA is an intelligent way for hourly workers to allocate and budget the units of time they have worked and start building assets. Safwan’s last job was at TSYS after they acquired Infonox in 2009, a payments company he founded and bootstrapped. His previous stints include being an AI and Neural Networks researcher at a NASA Center where a number of his experiments were part of the US space program. Click here to learn more about the 2018 Endorsing Convention. To access a fillable PDF Form for the Endorsing Convention, click here.